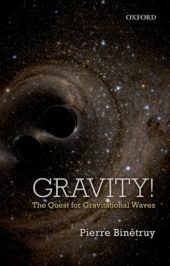 Rarely has a research field in physics gotten such sustained worldwide press coverage as gravity has received recently. A breathtaking sequence of events has kept gravity in the spotlight for months: the first detection(s) of gravitational waves from black-holes; the amazing success of LISA Pathfinder, ESA’s precursor mission to the LISA gravitational wave detector in space; the observation — first by gravitational waves with LIGO and Virgo, and then by all possible telescopes on Earth and in space — of the merger of two neutron stars, an astrophysical event that likely constitutes the cosmic factory of many of the chemical elements we find around us. There is a reason for this attention. Detection of gravitational waves has been one of the Holy Grails in physics. In 1916, Albert Einstein had already calculated that gravity cannot propagate instantaneously and must instead travel in the form of waves at the same speed as light. Any accelerated motion of celestial bodies, he calculated, generates a flux of such waves of gravity that travel towards us. It took about 40 years until other scientists figured out that such a travelling gravity could be detected, at least in principle, by looking at the minute mutual accelerations they would impress onto a set of free-falling test-particles (gravity always shows up by accelerating test-particles—think of Galileo’s stone accelerating from the top of the Leaning Tower of Pisa). Even after this, it took another 60 years to detect those minute accelerations! It was during these 60 preparatory years that scientists slowly realized that, once detectable, gravitational waves would turn into a formidable new tool to investigate the universe. There is a powerful analogy between gravitational waves and sound. Both record the motion of the source — the vibration of a string or the collapse of a binary black hole — and carry this information to a faraway detector where it is recorded by the motion of a sensing body: your eardrum, or the LIGO and Virgo test particles. Thus the 2016-17 revolution has, in a sense, added sound to our methods of investigating the universe and the bodies that populate it. Sound may be very important when exploring a place like our universe, since more than 99% of it is pitch dark. Detection of gravitational waves has been one of the Holy Grails in physics. It is amazing that at the same time as this discovery was made with ground-based detectors, scientists were also able to clear the way to the realization of even more powerful detectors in space that will be able to hear cosmic sounds emitted throughout the universe. Comparing the impact of such gravitational revolution to Galileo’s telescope might be an exaggeration, but the analogy comes naturally to mind. Gravity has continually been changing our view of nature in many other respects, even if these come with less media glamour. It is by studying gravity that we first guessed the existence of, and then found, black holes: mind boggling places near which time stops flowing, from which (almost) nothing comes back, and the surface of which behaves like a cosmic solid state memory, storing any information that has been thrown at it. By studying gravity within galaxies and in the universe at large, we have found that something is missing, that, judging from the intensity of gravity, there is a hundred times more matter and energy in the universe than what we can see with telescopes. The need to understand the nature of this dark universe pushes scientists to question whether the model of the constituents of matter that we have built up with our laboratory experiments is telling the whole story, or if there are instead some more elusive particles we have not yet been able to detect. There is one question haunting physicists researching the invisible force. We know a fair amount about how gravity works in the universe and in ordinary life, but we don’t really understand how it works in the subatomic world. While all other interactions between elementary particles are ruled by quantum mechanics, our best theory of gravity, Einstein’s Theory of General Relativity, does not abide by the same rules. While gravity among elementary particles is negligible in the laboratory, during the Planck era (the first instants of the universe) gravity was dominating everything, which means gravitation quantum effects must have been important. Thus, is not surprising that understanding how gravity works in the quantum regime has been and still is the Holy Grail of Physics, definitely more than the detection of gravitational waves. The good news is that the observation of primordial gravitational waves—emitted at the Planck era or thereabouts, and that might be detectable by LISA or by other indirect observations — may shine the necessary light to, at least, find our way to the Holy Grail. Featured image credit: “Lost in the Milk” by Luke Dahlgren. Public Domain via Unsplash. Stefano Vitale is a professor of Physics at the University of Trento, in Italy and a research associate of the Italian National Institute for Nuclear Physics and the Italian Space Agency. He is the Principal Investigator of the LISA Pathfinder Mission of the European Space Agency, the precursor to the LISA gravitational wave detector. He collaborated very closely for over a decade with Pierre Binétruy—the author of Gravity! The Quest for Gravitational Waves—within the core group of scientists behind the LISA project since its early phases. This is a great article for its information, for its brevity and clarity and for its picturesque language. I love it. Thank you, Mr. Vitale.